Amid calls for the Philippines to file a formal protest over China’s establishment of a maritime rescue center at the Kagitingan or Fiery Cross Reef in the West Philippine Sea, Foreign Affairs Sec. Teodoro Locsin Jr. said such diplomatic protest would be lodged once the existence of the Chinese structure is verified. 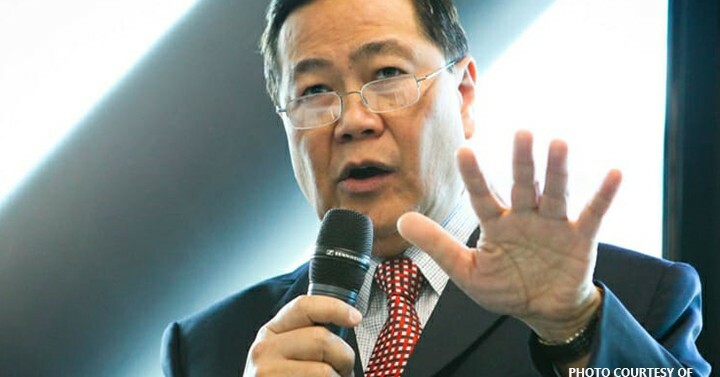 Locsin then took exception to criticisms that the Department of Foreign Affairs (DFA) did absolutely nothing while China built structures one after the other on the disputed territory, especially during his watch. 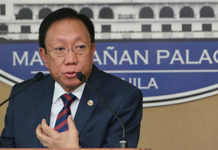 Reacting to statements from Senior Associate Justice Antonio Carpio on China’s alleged incursions, Locsin said the DFA under his watch filed a total of 19 diplomatic protests against Chinese activities in the disputed West Philippine Sea but without any fanfare. Defense Sec. Delfin Lorenzana himself said the government should question China’s building of a maritime rescue center at Kagitingan Reef in the West Philippine Sea. While such a facility could help Filipino fishermen, Lorenzana said the DFA should still file a diplomatic protest. “A lot of things have been said about that rescue station or maritime rescue station. Initially, I said, what’s wrong with the rescue station? Anyway that’s for humanitarian purposes. Maybe it could also help Filipinos who are stranded, or distressed at sea,” Lorenzana said. “But we should protest, only because we don’t want them to keep on building things there that will become permanent. It will become theirs,” he said, referring to China. Lorenzana said filing a diplomatic protest would put on record the Philippines’ continuing claim in the area. 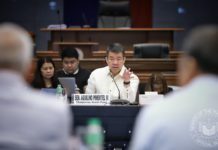 “We just protest to let them know that any development that they continue to do there is protested by us because we believe that Mischief Reef, Fiery Cross and all those islands that they have built (structures on are) within our exclusive economic zone, under our EEZ and they belong to us,” Lorenzana added. It was not clear, however, when the protests were made and on what particular incidents. 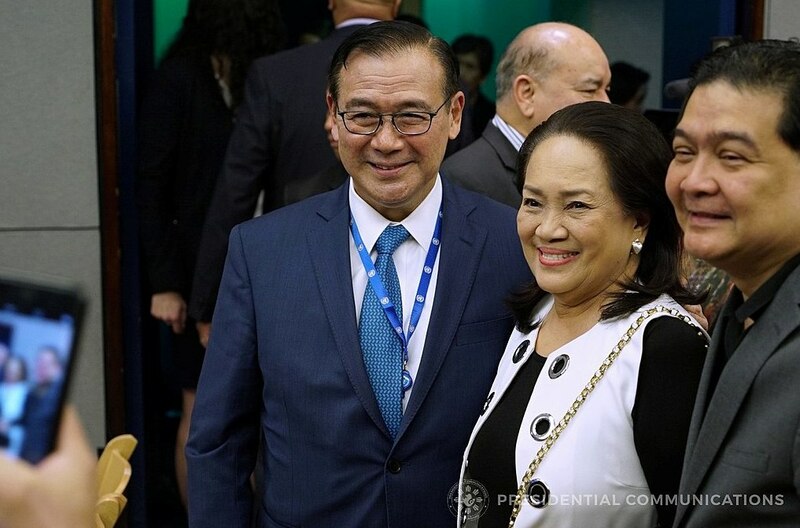 Locsin took over the helm of DFA last October from Alan Peter Cayetano who is seeking a congressional seat in Taguig City. “No fanfare, though. The protest is intended for the Chinese not for (people prone to) hysterics in Manila who, sadly, are not foreigners but, good God, Filipinos so need to be (CC’d with the) protest. It gets in the way of diplomacy,” Locsin added. Recent reports showed that Beijing has established a maritime rescue center on Kagitingan or Fiery Cross Reef, one of its military outposts in the South China Sea or West Philippine Sea. Kagitingan Reef is being claimed by the Philippines. According to a report from Chinese state-run Xinhua, China’s Ministry of Transport opened the center to support rescue operations in the southern part of the disputed waterway. Locsin nonetheless agreed with Carpio that the Philippines should contest China’s construction on the Philippine-claimed Kagitingan Reef. 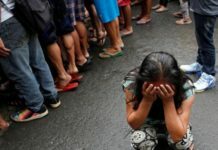 “I, however, prefer engaging them openly on the floor of the UN General Assembly,” Locsin posted on Twitter. Carpio earlier maintained that the Philippine government should file a protest to avoid the misunderstanding that it approves of China’s action at the Philippine-claimed reef and weaken the country’s claim over the disputed area. But Carpio and Malacañang differed on how the Philippines should deal with China’s establishment of a maritime rescue center at Kagitingan Reef. Presidential spokesman Salvador Panelo said Filipinos should be “thankful” to China for building the center even as Malacañang vowed to oppose acts that intrude into Philippine sovereignty.